Record numbers of people are embarking on a perilous journey through the Sahara desert and the Mediterranean sea to the southern shores of Italy, at the mercy of smugglers and human traffickers. Roughly 100,000 arrived in the first eight months of 2014, thousands died trying. International correspondent Imma Vitelli talk about her experience reporting on these migration routes for Vanity Fair Italy. Her Dialogue will be followed by a writing workshop for students in which she will talk about how to get a tough story and to write it in a difficult environment, giving students a short writing assignment and providing feedback on their work. Imma Vitelli is an International Correspondent of Vanity Fair Italy. 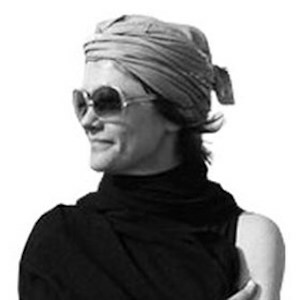 She joined Vanity Fair covering the 33-day Israeli war against Lebanon in the summer of 2006; ever since she has covered conflicts in Afghanistan, Pakistan, Iraq, Somalia, Israel and the Palestinian Territories, and many other countries. She covered the Arab Spring in Tunisia and in Egypt and was one of the first foreign reporters to travel to Benghazi to tell the story of the beginning of the Libyan revolution. She was born in Matera, Italy, in 1970, and has a Master’s degree in Journalism from Columbia University, New York. After spending one year in Cairo and eight years in Beirut, she is currently based in Rome.